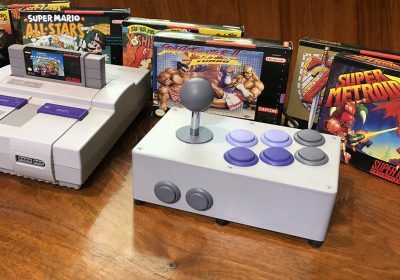 With virtually every disc-based console video game system, there has been an relatively easy way to copy, burn, and play perfect backup copies of games on a system either via an emulator or the console itself. Most consoles use a variant of either a CD-ROM or a DVD-ROM disc. This makes it very easy for a computer to read and store the data and have the option of burning it back onto the same type of media. This isn’t the case with the Sega Dreamcast. 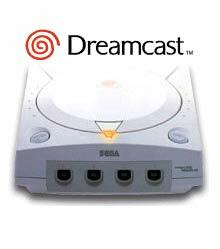 The Dreamcast uses a proprietary disc format known as a GD-ROM. It is very similar to a CD-ROM, but essentially packs the data tighter on the disc. The result is a disc that can hold twice as much as a standard CD and cannot be read by CD-ROM or even DVD-ROM drives. As I mentioned a while back in my article, How Are Ripped Dreamcast Backups Inferior?, many of the ripped Dreamcast games are actually compressed by either downsampling (compressing to a lower quality level) audio and/or video or ripping them out altogether. Because of this, there are a number of game rips out there that are inferior to the original copies in a number of ways. While these issues might not bother the casual gamer, it is a bit concerning to those interested in preserving games for the future. Our games and consoles aren’t going to last forever, so having pristine digital copies as a backup is important for preservation. Until now, there hasn’t been much motivation to have perfect rips of Dreamcast games over 700MBs as there wasn’t a way to play them on an actual Dreamcast unless you have a GD-ROM burner and blank GD-ROM discs (both of which are uncommon and expensive). However, with the progression of Dreamcast emulation on the PC (primarily the new nullDC emulator), there is now a way to play full-quality Dreamcast rips with easily-accessible hardware and software. Now the difficult part is actually ripping the Dreamcast games over again. As I mentioned before, a computer cannot read Dreamcast discs (see Can Your Copy Dreamcast Games On Your PC), so only people with some specialized Dreamcast accesories can get this accomplished. Luckly, there is a small community of enthusiasts, such as our own Mozgus (see his Dreamcast rip torrent here), that have taken the initiative to rip their games in their complete form and share them with the rest of us. Hopefully, as Dreamcast emulation becomes more accurate and commonplace, we will see this preservation effort increase. 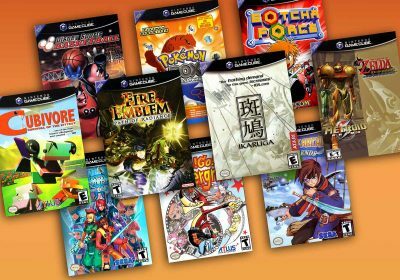 What will be the biggest challenge will be connecting those with the rarer and unappreciated import games with the means necessary to back them up again. Obviously, this effort is a bit ahead of its time, but I wanted to bring this topic up to put it in every retro gamer’s mind and get it the attention it deserves. If you have any thoughts, ideas, or comments, I’d love to hear you share them in the section below. Erm…I love Dreamcast, but isn’t the term “preservation” a bit much here? I mean, Dreamcast games are pretty plentiful, and much of the piracy relating to Dreamcast games is pretty inexcusable. I own 120-something Dreamcast games, and I’m definitely not funding my game purchasing habits on a doctor’s salary. You miss the point, kevenski. We are preserving these games because the majority of them were poorly pirated in the first place, and no matter how many copies of a game you THINK exist out there, that number is dropping each day. There may already be a game or two that are technically extinct today, with no more working copies left out there. With it’s extinction, goes all it’s data which wasn’t included or modified in the pirated versions distributed online. So yes, this is preservation at it’s most precise definition. Besides, most of those games don’t run well on NullDC, so there is not much instant gratification in terms of free gaming to be found here. This is fantastic news! Can’t wait to see it concluded. Oh yeah! GoodDC set FTW! Now speaking seriously, I had this ideia myself a few years ago but obviously I hadn’t (and won’t ever have) the means to do so, so I think this is a fabulous initiative just as great as cowering’s/all cart dumper initiative with the Good set of tools (GoodGen FTW! :-D). Vokatse makes a good point. Really, Sega Saturn games are harder to come by than Dreamcast games. And, despite the fact that people are going to claim that this is taking place because some games are difficult to find, I really find that to be a little hard to swallow, as you’re going to see Crazy Taxi and other really common/inexpensive games being made available in the name of preservation, despite there being countless copies on eBay for under $5.00. It doesn’t matter if Sega Saturn games are harder to come by. Saturn already has full or extremely close to full dump sets. There’s nothing left to do for it. Your logic is simply that this is happening “too soon”? Why? What part about this offends you so much? What good would come from waiting til later? We’re not hurting any company by doing this. Dreamcast is dead, remember? This is preserving history, despite what you think it is. I really cant understand why you have a problem with Dumpcast, but you’re ok with 7 years of people downloaded selfbooted, ready-to-play releases. Our’s certainly don’t work on Dreamcasts. Honestly, the main thing that I’m offended by is the fact that this is being passed off as a “preservation” effort, when many of the Dreamcast games that will be offered as part of it are in no way short in supply. And Saturn dump sets are pretty hard to come by in comparison to Dreamcast dump sets, which makes this all the more puzzling to me. I mean, if you want to offer full downloads of Dreamcast games, go ahead. Just call it piracy and stop with all of the preservation crap. It just sounds as though you’re trying too hard to glorify piracy. How else would one preserve the data? There is no other way. How is this piracy when the vast majority of the games are still unplayable on the emulator? No one in their right mind would choose to download a GDI and play it poorly, rather than buy it or just download a selfbooted copy somewhere else. There’s no possible way you’re going to convince anyone that what we’re doing is wrong. Emulation is illigal and is piracy no matter how you look at it. But it is VERY, VERY right. How else are we going to preserve our games? Cringe all you want, but there is no other way. Copies of games are destroyed every day. Final fantasy 7 was released in 1997(a mere two years before the dreamcast launched) and sold over 10 million copies. Yet, with all those copies out there, you can’t find a copy on ebay for less than 75 dollars. I’m not saying that paying $75 for a game is the end of the world, what I AM SAYING is that should be a wake up call for EVERYONE. Game disks have a limited lifespan as it iss, and the world’s stressors limit that SIGNIFICANTLY. You see that mind copy of yours? Guess what? No matter how good you take care of it, it’s gonna die to. So, 30 years now when you get some mega-nostalgia for Skies of arcadia and all dreamcasts in the world have stopped funtioning, what are you going to want to play, a crappy, reprogrammed and ripped version of echillions, or the genuine artical. You say this is too early, but it’s actually quite late. The best time to mark a moment down in history is RIGHT AFTER IT HAPPENED. This should have started in 2003 and be finished by now. If this project was completed by now, we’d see more complete emulators. So in closing, yes this STILL is piracy, and will always be, but this is ALSO glorious preservation of history that didn’t deserve to die in the beginnning, and doesn’t deserve to be lost to oblivion. So get off our backs about it. @kevinski – as Mozgus said, Go to Underground Gamer and you will find virtually every Sega Saturn ISO you could want, and most of them will be in a solid BIN/CUE format. Sure there are some games that are only in ISO/MP3 (which has the audio compressed), but again, most of them are uncompressed. It’s also worth mentioning is that if you own the original copy of the Saturn game, you shouldn’t have to worry about backing it up as any modern PC and any cheap/free piece of burning software can rip it for you. (That is, if you don’t wait for the disc to die first.) As I mentioned in my post, you CAN’T do that with the Dreamcast games. That is why there needs to be a bit more organization at an earlier point in time to get people that have the proper equipment and knowledge to archive the games now. And again, we don’t NEED these now, but by the time we do, it may be too late. Optical discs like CD-ROMs, DVD-ROMs, and CD-ROM do deteriorate and die whether you like it or not. I own original copies of nearly all the Dreamcast games I wish to play, but that doesn’t stop me from wanting to stash away a digital copy of that game on my hard drive. The fact is, I may not actually use that digital copy for years, but when the time comes, I won’t have to worry about it. And much like my other emulation practices (which I have mentioned before), I like the ability to emulate my games on a portable device (yes, someday we will be able to emulate Dreamcast on the go) or on my Media Center PC. I don’t want to have to have an actual Dreamcast (which will eventually die as well) in every room I want to play a game in along with its loud noise and non-wireless controller. kevinski, I would hope you’ve been around me long enough to know my intentions in gaming and emulation and that I’m not out to pirate. I buy original copies of game (heck I’ve bought Sonic the Hedgehog multiple times if you count all the compilations) and discourage anyone from pirating games for systems that are still on retail. I also promote purchasing a classic game if it re-issued on a newer console you own. One perfect example is Jet Grind Radio — one of my all-time favorite games. So far, it is only playable on the Dreamcast. So what happens if it never gets ported and the Dreamcast and its games become more rare and my copy stops working? (Keep in mind it wasn’t too long ago that Saturn games were abundant and cheap) Are you sentencing me to pay the prices of the gougers at eBay for a new copy? Sure JGR is dirt cheap, so it isn’t the absolute best example, but I think you get the point. Also, if I simply wanted to promote Dreamcast piracy, I would point you at the complete Dreamcast sets availible at the larger torrent sites. There are already out there waiting to be scooped up and have been for years. In fact, some would say, that was what gave the Dreamcast its final blow. But you can’t blame me for that. I refused to even touch a burned Dreamcast game until 2003. Also, like Mozgus said, unlike those rips available already, you won’t be able to play these on an actual Dreamcast. This is just for emulation purposes. And you won’t be able to emulate your real Dreamcast games, so this is your only option. And as I’ll get to in a minute, there is nothing wrong with emulating the games you own. I’m sorry, but emulation is NOT piracy. 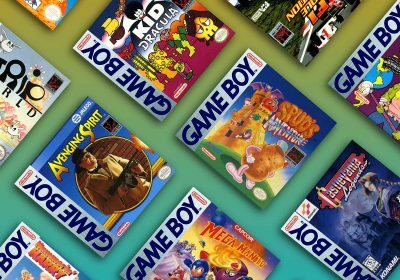 If you own the original copy or the rights to it, there is absolutely nothing wrong with emulation. Read the DMCA and it’s amendments again and get back with me. Also emulation is used for nearly every classic game compilation and services like Virtual Console and Gametap, so don’t dare telling me emulation is illegal. 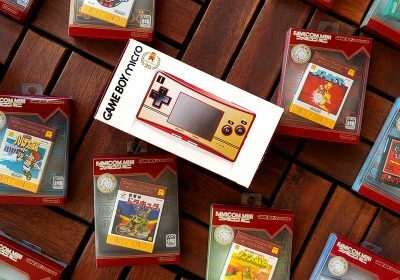 racketboy, I completely understand and respect your stance on emulation. The flaw in this initiative, however, is the fact that it’s a “backup” or “preservation” effort. I can respect people for wanting to have a digital backup of games that they own, but let’s face it: Most people will likely use this in order to avoid paying a whopping $.99 for games like Crazy Taxi and whatnot. I generally don’t speak out against piracy, but I find it to be somewhat insulting that this is being passed off as a preservation effort. Even some of the above posts sound as though they’re statements that would be made about an endangered animal species. I couldn’t care less about the actual piracy that is going to take place, but having this effort labeled as a backup or preservation effort whenever there’s absolutely no way of guaranteeing that even a tiny percentage of people taking advantage of it are using it for legitimate reasons is just ridiculous. I’m fully aware of the fact that optical media lasts nowhere near as long as other forms of media in many cases. The problem with this initiative is that a lot of people are going to take advantage of this, and these people won’t likely be deserving of it. It’s pointless. He’s not even reading what we’re saying. No sane person would download a GDI of Crazy Taxi and emulate it poorly, rather than buy it or download a selfboot copy. That’s insane and simply does not happen. They download it because they have no means to make their own backup of their copy. I don’t care what you say, but you cannot tell me what my motives are. I went out of my way to acquire a BBA temporarily, and spent 25 hours in a couple days backing up my collection, solely so that I could feel comfortable knowing that my discs now no longer my only means of accessing the data inside. I’ve been worried about this for years, and I’ve even made mention of my wishes for a project such as this, previously on this very forum as well as others. You are nothing but a narrow-minded anti-pirate, and you think anyone who copies a digital disc is a bad person. I never said that I was anti-piracy. Actually, I said that I generally don’t speak out against piracy, as I don’t have a serious problem with piracy. Furthermore, I wasn’t trying to state what your motives were. Whenever I said that it sounds as though you’re trying to glorify piracy, I only stated it like that because this is largely going to be used by people who want free games, period. I realize that most games probably won’t work on Dreamcast emulators at the moment, but I do know that Dreamcast emulation is coming along much better than Saturn emulation has. 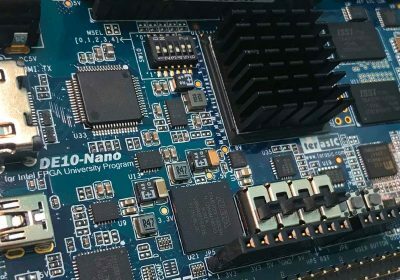 I’d suspect that Dreamcast emulation would require a far less powerful computer, as well, given how complicated the Saturn’s architecture is. Even if this isn’t going to currently be used for piracy purposes, do you really believe that people won’t use it for that in the future? Backing up your own games is fine. Furthermore, providing games to others who own those game and want backups should be entitled to them. I just think that it’s ridiculous to think for one minute that people are going to view this as a means of backing up their collections more often than opportunists see it as a means of getting free games. Well, I still think you’re missing the point. Self-booting images for virtually any Dreamcast game are already out there on a number of sources. Having these higher-quality rips are just giving people a higher-quality, but less flexible alternative. Bottom line: If someone is going to pirate the games, they are going to do it very easily without these new rips or not. In fact, like Mozgus is saying, I would be very surprised if the casual pirate is going to give these much of a chance. Another way to look at it is like gun ownership. Your statements can be likened to saying you shouldn’t make high quality guns because somebody might go around killing people. Lower quality guns are already available to potential killers and not everybody that has or wants a gun is a killer. Like all programs, you have a right to “1” spare copy. But only if you make that copy yourself. Even if that copy dies, you are not allowed to download it to make up for it. Anyone who downloads a rom or iso from a website is braking the law, original copy or not. But no, my point was that emulation, while made illegal by law, is morally right. 1. I hunted down a genesis, saturn and dreamcast, which, I never owned any of them before. I just the other day bought a neo geo pocket color on ebay. 2. It made me decide I wanted to be a game developer, now I am down that path in life(still in college). So I would say emulation is a very good thing. And I’m well aware legal uses of emulation are quite common these days. I assumed it was common enough knowledge that I wouldn’t have to point that. I must say I’m quite offended that I came here to defend you and you immediately attacked me. You are absolutely right in what you just said, Zakkkm and I’m sorry if I came off as a bit snippy. Again, I appologize. It isn’t so much the emulation that is illegal. Obviously, possessing the BIOS for a console is generally illegal, and the ROMS/ISOS are illegal (unless – as Zakkk pointed out – you make your own copies of games that you own). As for me missing the point, no, I’m not. Storage is becoming far less expensive, so – with time – these full “backups” will, indeed, become very popular with pirates. Yes, I realize that burning CD-R’s for use in Dreamcast console is no difficult task, but – once emulation is an attractive means of playing Dreamcast games – I really doubt that people will both with the current, inferior copies. People download entire DVD’s online, so do you really think that they’re going to shy away from downloading a full GD-ROM rip? Once again, my gripe about this effort is that it’s being passed off as a preservation act. The problem, despite what any of you want to believe, is that this is going to simply become a means for cheap-asses to not pay $.99 for Dreamcast games on eBay and get free games. Computers are becoming more powerful and less expensive, and storage is even more affordable. In a year or two, Dreamcast emulation will be pretty accessible…as will the games, thanks to this “preservation” initiative. I know what you’re saying, but you’re still missing my point. Whether or not the higher quality stuff it out there, there are already other rips out there for them to pirate. We aren’t changing anything there. Who really care if they do choose the higher quality one over the original. They are pirating no matter what. And I’m not trying to push this effort as some heroic thing or something just because I used the word “preservation”. To be honest, I only used that word to decorate the title and spruce up the wording a bit. It’s not like I’m asking the Library of Congress to keep these in a vault or something. In my mind all I’m doing to reminding our relatively small group of enthusiasts that the rips that are out there are inferior, remind them that it’s not easy to rip these ourselves, so if we do want full quality rips, we need a bit of organization and cooperation. I don’t think it needs to blow up into something bigger than that. Let me just say that I think this is a great idea. In all honesty, I don’t understand what all the fuss is about when we’re talking about Dreamcast games. I mean, there are a few Japanese titles that came out recently that could be considered unethical to distribute, but for the most part Dreamcast games are limited to collectors. Sega isn’t making or losing any money with eBay purchases, and most stores like GameStop don’t even sell Dreamcast games anymore. Technically, you are only legally allowed to have a back-up copy if you produce it yourself. That is true. However, I feel that the Dreamcast is something of an exception in that the hardware required to back up games is not available to the average consumer. The cheapest option is probably to get the BBA, which is very expensive these days. 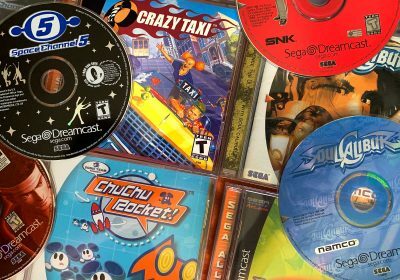 With this project, Dreamcast games will be preserved in their full, unadulterated forms and we won’t be stuck with crappy, down-sampled rips in the future once Dreamcast games go the way of the Saturn. Personally, I’d rather not be left with a bunch of Echelon releases when these high-quality rips are available. Actually, my BIOS is legally backed up as well. I dumped it myself. So when I play NullDC, I am being 100% legal. There’s no point in arguing this any further really. It’s preservation, period. I’ve extracted so many movies and songs from full dumps of Dreamcast games lately, and thought to myself how glad I am that this is still possible to do, because in nearly every situation this content was slaughtered on the old pirated versions. Another thing worth mentioning is that my 41 game torrent collection is extremely meager compared to whats coming. Nearly all the active dumpers are people who physically own 100s of Dreamcast games. Most people who are getting my dumps right now are people who already own those games, and I’m just giving them a shortcut in dumping those games themselves. And yet, most of the common pirates you hate so much actually have little to no interest in what we do! They come up to us and ask “What’s the point of this? I don’t get it. If it won’t work on a Dreamcast, then it’s worthless.” And they’re free to say that. Right now, Dumpcast is a very small group of people with vast collections working together to preserve what we put so much money into. I have nothing against pirates. I’ve said this time and time again. By the way, you’re right about the BIOS thing. Your copy is legit, as a result. I honestly wouldn’t know how to do that. I have seven Dreamcasts, though, so there’s no immediate need for me to worry about that. Furthermore, I have 120-something Dreamcast games at the moment. As such, I don’t feel an immediate need to use backups yet, as I pick up multiples of games whenever I see good deals. Someone should set up a site\FTP for all these 100% rips. Also, we need to presure a company into putting the BBA back into production, as games can be both ripped and run using it. Umm…wow!, I just found this article out and thought this was written in 2001 or 2002 but I see it’s actually new!…there are already perfect rips of Dreamcast games since mid-2001 so I really don’t understand what people are saying here. On the “backup” part though, I think it’s alright “IF” and only “if” the system is considered “dead” or production has stopped. I actually always thought that playing “burned games” was just stupid because if you’re like me you would be missing on the original case and manual of the game even though most people don’t care about that. But when I modded my Xbox to get all the “extras” and to emulate everything from the 8 and 16bit era I thought what the heck, MS isn’t producing the Xbox anymore in favor of the 360 (which I also own and am not thinking on modding…yet) so since it is modded it could play burned or pirated games I just went and started downloading games that I never had and are hard to come by. I still buy games for it though, but games I’m not so sure about buying or they’re not games that are worthy of any money anymore I just go and download and burn away. With the Dreamcast is the same, the system is considered “dead” since mid-2001 so I bought a Dreamcast about 2 years ago (I always loved it and wanted one but I guess I just went with the PS2 and Xbox) and started to download and burn the games which were perfectly ripped, were really hard to find legitimate copies of “and” that were good…I also own like 30 or so original games which I could find either used or new on ebay or similar sites but the majority are very hard to find or are extremely expensive and even though I miss having the original copies with original artwork, cases and booklets at least I can experience those countless good games that way.